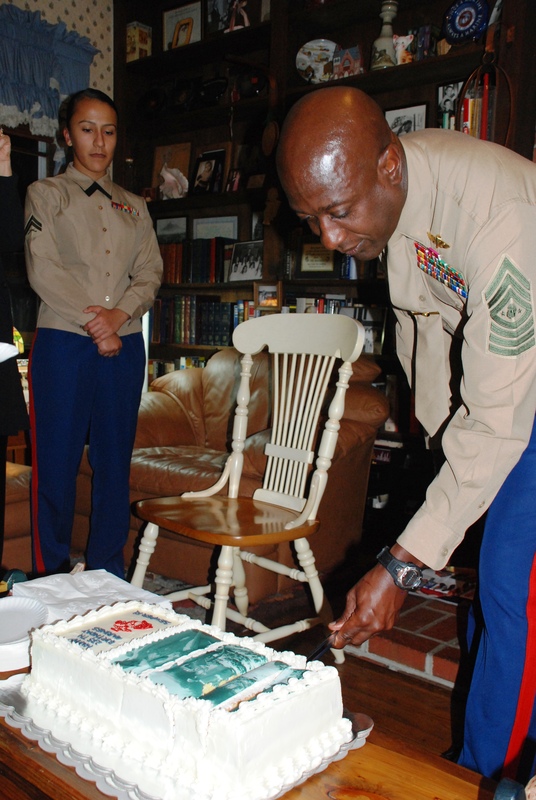 For the second consecutive year, the Marine Corps’ top enlisted adviser traveled from the Pentagon to Fredericksburg, Va., on the service’s Nov. 10 birthday to visit retired Sgt. 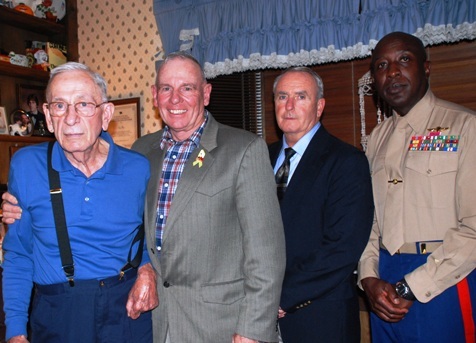 Maj. Henry Black, 81, the seventh sergeant major of the Marine Corps. Sgt. Maj. Carlton Kent cuts some birthday cake. Black served as the Corps’ top enlisted adviser from 1975 to 1977. He earned a Silver Star and Bronze Star in the Korean War as a junior Marine, and later served as the first sergeant of Alpha Company, 1st Battalion, 1st Marines, out of Camp Pendleton, Calif., during the Vietnam War. Black shared several stories with the visiting Marines, including one about the Korean War, the Corps said. He recalled marching in extreme cold with fellow Marines, and stopping to huddle around a burning tire they found while marching. They then observed there was an unexploded grenade sitting in the middle.